Kendrick Carmouche is expected to miss seven to eight weeks after fracturing his femur in a spill during the Juvenile Turf Sprint at Kentucky Downs on Saturday, according to Daily Racing Form. Carmouche went down in the stretch when his mount, Chattel, clipped heels as Sovereign Impact drifted out in front of him. Sovereign Impact, who finished third behind winner Moonlight Romance, was disqualified and placed last. Chattel, a 2-year-old by Giant Oak bred by the University of Kentucky, owned by David Baxter and trained by Brandon McFarland, fractured his shoulder in the spill and was euthanized. Chattel had won two of his five previous start, including the Skidmore Stakes at Saratoga. Carmouche was taken to Skyline Medical Center near Nashville, Tenn., complaining of leg pain. According to DRF, he will undergo surgery Sunday at Vanderbilt University Medical Center. “They're going to put a screw in it and I'm going to be able to put pressure on the leg,” Carmouche told DRF, adding there was no separation of the bone. “They're saying seven to eight weeks before I'm back riding,” he said. Based primarily in New York after winning four consecutive riding titles at Parx Racing (formerly Phildelphia Park), Carmouche has won 3,106 races in a career stretching back to 2000. From a horse racing family, Carmouche, 34, was born in Vinton, La. Wishing my man Kendrick Carmouche a speedy recovery. He has a broken femur. He will need surgery, hoping everything goes ok. Love you my man, you'll be back in no time ! 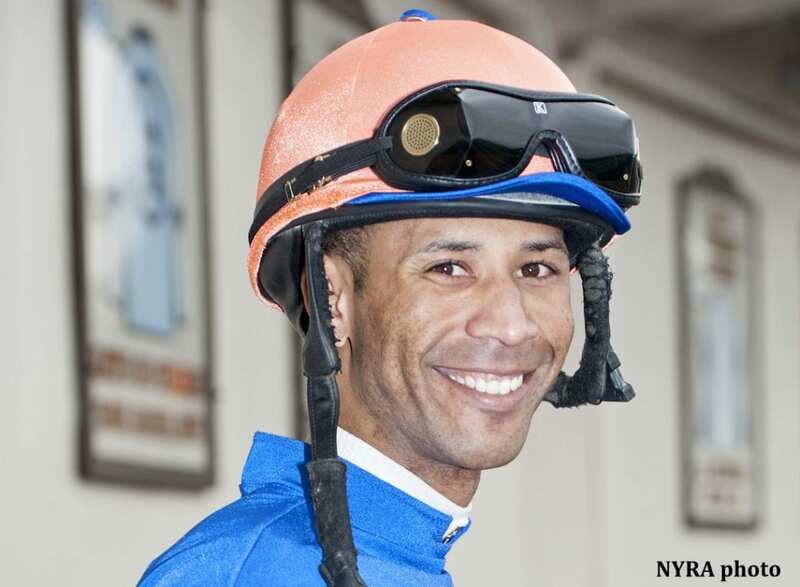 Wishing my good friend Kendrick Carmouche a speedy recovery. Tough sport !!!! Bronson, who finished fourth in Saturday's $750,000 Calumet Farm Kentucky Turf Cup, sustained fatal injuries after the finish. Bronson was vanned off the course and the extent of his injuries weren't immediately apparent. Bronson, trained by Mike Maker for Three Diamonds Farm, finished 1 1/4 lengths behind victorious Arklow. Maker and Three Diamonds also finished second by a half-length with Bigger Picture as Maker-trained horses finished second, third (Soglio), fourth and fifth (2017 winner Oscar Nominated). This entry was posted in NL Article, People and tagged jockey injuries, Kendrick Carmouche, kentucky downs, kentucky downs juvenile turf sprint by Paulick Report Staff. Bookmark the permalink.